Desteni is supposed to be a group of people developing a new global system of equality called Equal Money System (EMS) which can be applied at every level of human, plant and animal existence. Putting aside the question of how equality could ever be a 'system', why is it that the people involved in Desteni only use social networking websites, make blogs and YouTube videos and do practically nothing else to communicate their message to the public? In 2011, as previously reported, some of the Desteni channels featuring thousands of their videos were terminated by YouTube and Vimeo. This was after Desteni had issued numerous copyright claims against other channels. Destonians say they were banned because their 'message of equality' is a threat to the system. In fact, Desteni had been reported (not by anyone associated with this blog) for violating the user guidelines of YouTube and Vimeo which do not allow spam, 'commercially deceptive content' or Multi-Level Marketing. Desteni videos are in order to advertise the Desteni I Process MLM scheme, and any form of MLM is widely regarded as commercially deceptive. More on this at: Desteni material banned by web host. The Desteni organisation has been active on the internet since 2007, and still runs countless YouTube channels, blogs and websites. Thousands upon thousands of their videos and texts have been and are published on a daily basis. But there are still only around 100-150 members of the group. After some years of denouncing capitalism and after having been denounced as communists, Desteni began promoting Equal Money Capitalism this year, and have set up a Quora.com board for it. 'Equal Money Capitalism' is supposed to involve 'research' into how there can or maybe possibly could or will be a transition phase as 'the current system' changes into EMS. Recently an article about Desteni was published at Wikipedia in Swedish (discussed at the Desteni forum). Editors quickly deleted it, describing Desteni in translation as 'a South African cult of some kind' and decided content of the article did not explain relevance of the topic. This is because for an article to be included in the Wikipedia encyclopedia it has to reference enough independent sources to show that its topic is worthy of attention. Most of the independent sources discussing Desteni are online. 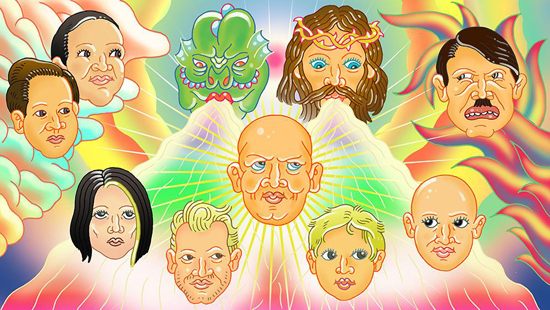 Usually the group has been described in terms of being a cult (including by members of the ex-Scientologists forum); as Wikipedia editors in English also described it back in 2008 when they deemed Desteni non-notable. Destonian, Anna Brix Thomsen mentions that in 2010, host of 'The Keiser Report' on the Russia Today TV channel, Max Keiser posted EMS promotional videos on his website. Dean Robinson has pointed out that Keiser removed these videos after viewing Robinson's Max Keiser & the Money Cult video (EMS is discussed from around 5 mins 30 sec). There is no record of Keiser ever having publicly written or voiced any comment on EMS or Desteni. Another thread at the Desteni forum posed the question, Desteni: Cult or not?, but it was soon locked down. The suggestion is the question should be regarded as irrelevant because they already dealt with it in YouTube videos tagged Anti-Hate a while ago, and what Desteni are about is 'standing up for equality'. Bernard Poolman wrote in his blog that Desteni is the BEST CULT ever. But Poolman's 'desteni' has only ever been referred to as a cult, which is an authoritarian, hierarchical group that views outsiders as corrupt and itself as having the monopoly on the truth. No cult can represent equality. Desteni imagines converting the entire world to its cause but appears to be too bizarre to recruit anyone beyond the most mentally unstable and impressionable people living out their lives on YouTube. Anna Brix Thomsen states that it is more than just internet-based. Yet in communicating its message to the public 'desteni' only ever uses the internet, and in a very limited way. Destonians often suggest that anyone who criticises EMS is therefore living in fear, protecting their money, opposed to equality and 'supporting the current system'; that only Desteni can save the world, and otherwise humanity will be destroyed. Destonians very rarely try to develop ideas in creative discussion with other people not in their group. They tend to ban or block anyone with a different point of view. Although its message is supposed to deal with 'practical solutions' there is no evidence that the Desteni organisation has helped practically solve any issues of equality or equal rights for anyone anywhere, or that it is attempting to do so. Destonians do not put EMS up for discussion at political web forums. No articles on EMS get published or reviewed on political or social justice websites. Destonians travel to South Africa for working holidays at the Desteni farm but no-one who lives at that farm travels anywhere to spread the message of Desteni or EMS. 'Desteni' does not try to get the attention of news media or on TV with its equality message. Bernard Poolman states that the group needs more financial support before it can do that. They'd only have to do or say something that was newsworthy... But Destonians have never issued any press releases, given radio interviews or tried to get articles on EMS published in newspapers or magazines. Desteni does not even hold public meetings or events anywhere. There are organisations, political movements and groups all around the world standing up for equality. Several of them regularly appear in news media. Many actively campaign for alternatives to capitalism, and try to create them. 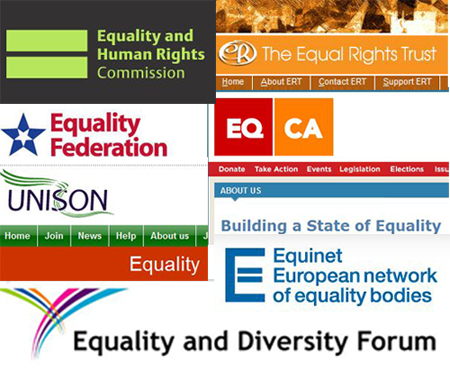 Some of these groups may be a 'threat to the current system', while others are official organisations protecting laws regarding equality and equal rights. But Desteni does not try to enter a dialogue, share ideas or show solidarity with any such movements, groups or organisations. Desteni has never tried to discuss EMS in public with any of the film-makers, researchers, authors and mainstream and radical politicians and political commentators with equality as the main focus of their agenda. Destonians often reference other people's film documentaries, studies and research in their blogs and videos in order to promote EMS. But none of these documentary film-makers, researchers, or indeed any independent sources, have ever given an explanation of how Desteni or EMS are valid or useful in terms of equality, equal rights, politics, economics or social justice. Not even anyone at the David Icke forum. Instead of showing only a static image, if Bernard Poolman was to appear publicly in videos talking to camera and engaging an audience that way, as do his followers, the Destonians, it would of course help bring the message of Desteni and EMS to more people. As she is the 'portal' of Desteni, Sunette Spies explains in detail the message of EMS and the Desteni 'process'. No new public videos of Spies talking to camera have been released for quite some time, but if they were, again it would certainly bring word of EMS to more people. It seems that the Desteni group are deliberately restricting public communication of their so-called message of equality by confining it to webpages run only by recruits, while the two main spokespersons are keeping a low profile. The potential or actual Desteni recruits tend to be people willing to talk about their private personal concerns with strangers on the internet. They often admit they have social, psychological and/or health or drug problems or that they've been diagnosed mentally ill, and they are most usually into New Age philosophies and conspiracy theories. Desteni recommends some well-known, widely-used self-help techniques. Breath awareness, self-forgiveness or giving up addictions in 21 days can of course be freely practiced by anyone without joining any group but these and similar techniques are represented by Desteni as if they are 'the Desteni tools'. In the practice of self-forgiveness, recruits provide detailed personal information as public testimonials to advertise Desteni commercial products. They use news items and data about political corruption, abuse or injustice to advertise EMS and sale of Desteni products, which they say will lead to the end of 'the current system', and bring 'world equality'. The Destonians look for personal advice and the Desteni group offers it, sometimes in the guise of a 'reptilian' they say created human beings: Anu. And so it goes on... Desteni states it provides 'education', and suggests or implies its members can, for example, give advice to parents, or help treat anorexia, schizophrenia or alcoholism. Desteni 'educational' courses have never been recognised or approved by any independent, official or non-official organisation, and no member of the group is qualified or experienced to give out advice on psychological, health, drugs or social matters. Although they claim to be opposed to charity, Destonians request charitable donations for research into plant, animal and human life, and apart from the fact that they do not say how their 'research' is carried out, they have no professional background in the sciences. EMS is said to be political yet none of the group show that they have ever had any real involvement or experience in political activities. All of this is clear from an investigation of the material published by Desteni and the Destonians. Any reasonably well-informed member of the public can (not by reading this blog but the Desteni websites) see that 'Desteni' is a commercial scheme that recruits individuals into the buying and selling of products, the content of which has been recycled out of related material found in religious cults, New Age philosophy, self-help, quack medicine, occultism and conspiracy theories. Promotion of 'equal money system' is just a way of persuading people to pay and work for the 'Desteni' business as unpaid volunteers. Inevitably, it will become clear for some of those currently involved in Desteni that they have been misled. Several ex-supporters have already spoken out. Others could at any time reveal more about what goes on behind the scenes. Desteni condemns the family and friendships. Concerned friends and relatives have already made strong objections and could take decisive action. The Cult Education Forum and other sources have shown that some of the business practices of Desteni may possibly be verging on illegality. Donations and payments made to Desteni go to the Equal Life Foundation, which is registered as a non-profit company yet it seems only to exist to take donations and manage profits made out of sale of Desteni products. Desteni could easily become the subject of more reports in mainstream media such as occurred with South African newspapers, Sondag in 2011 and Rapport in 2009 (see this link and that) -- or in the alternative media. The Desteni group is surely aware that if it raises its public profile and spread its message further afield it is likely its activities will be researched and investigated by more far-reaching independent sources than this blog, the Destenigossip blog, the Anti-Desteni Movement, XfinksX, 0rdoTempliAurora, Istenenergia, MarioBrotha, the Cult Education Forum, the Skeptic Project and the numerous other forums, blogs, YouTube channels, websites and videos which have criticised the cult over the past five years. I find Desteni fascinating, not sure why. My google searching hit some Desteni blogger who was criticizing popular consciousness groups and spirituality saying they only imagine things to feel better and aren't getting real to help the world be better. OK, I can see that somewhat so I thought I would check out Desteni. This was first I heard of it. Well, as you know, I ran into portals, channeling, reptilians and aliens to which I wondered why the Desteni version of things like that is OK but not the other sources of channeling or even more grounded positive thought theory in popular spirituality. Odd. I asked if the Desteni organization provides humanitarian aid. The answer was something like, no because wars and poverty shouldn't exist and that would be a slap in the face of those that are suffering. Is that what they mean by equality? It was as if there's some future that is going to exist that doesn't have war, so no need to provide aid or charity to war victims for this reasoning(?) Oh and saying that people only give to feel good about them selves. The idea presented was that Desteni will clear up all wars and poverty for everybody (including me, oh goody!) by getting people self realized. This way of thinking, of how the world will become better, is kind of like new age pop ideas. Or even old spiritual ideas. "Be the change you want in the world." But to take it to be OK to not help out, if you can, because you are busy "self realizing" does not seem like being the change anyone would want in the world. To have an organization that says they are helping the world and are against charity because they will fix war and poverty in the future is dysfunctional, to me. I wanted to ask if Desteni would rally for dis-banning the red cross. As it turns out the most prevalent, if not only, Desteni rally you can find is recruitment into their buddy system of blogging your dirty laundry in public. I wondered, after reading some of their blogs, that it seems some have become better in certain ways. Like they give up drugs or other addictions. But have they traded their addictions for something else just as debilitating? I mean, if you don't know all the undercurrent and you just read some of their less nutty blogs it almost looks like a good thing. Although, not too far around the corner or read more than one blog entry and something should go off in one's head that says this doesn't seem like being healthy. Not sure why. I left saying if all that you are saying is as a representative of understanding Desteni, then Desteni is not for me and I predict someday you will really wake up and see how deep you are in it and find Desteni is not your holy grail either. Her blog seemed to be like attacking everything else that hasn't worked for her. I can not bring myself to check out for any reply - I need to just let it go. Maybe I got deleted as a hater from her point of view. Thanks for the comment. Some interesting points there. Time and again people who have shown a genuine interest in entering a reasonable dialogue with Destonians have found that they can't get anywhere unless they unquestioningly agree to accept the Desteni material as the ultimate truth about everything. The Desteni opposition to charity is a strange contradiction because to all intents and purposes they practically are a charity. They have always asked for donations and the Destonians work for the company as unpaid volunteers. They run a 'non-profit company'. All of which is the case with many official charities. As for their condemnation of New Age spirituality, channelling etc while they claim Sunette Spies is an interdimensional portal and can communicate with dead people, animals, reptilians etc, it is probably the most laughable aspect of their nonsensical system. If there is anything worthwhile to be found in what they say about equality it has been or already is being dealt with by writers, film-makers, activists or other public figures in far more articulate, practical and effective ways. Where the Destonians can go from here seems quite uncertain. Their membership count has remained the same since 2010 and hardly anyone but themselves ever seriously regards Desteni or the Equal Money System as having any real credibility as a social or political movement.